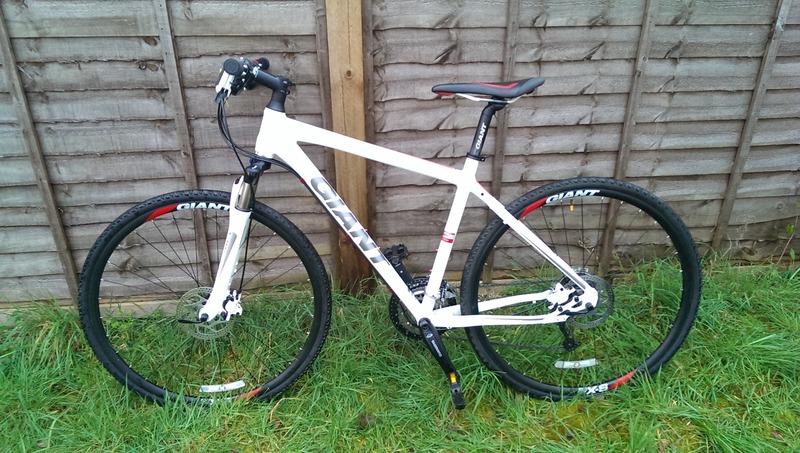 White Giant Roam XR2 with red and grey labels. Hybrid bicycle in a very good condition. Frame size Medium. Had a bike register label and a police blue tag. Switched brake levers. The bicycle was locked and got stolen from an underground garage in Brentford, Tallow Road.